« How to Boost Computer Performance? How to change file properties? In this tutorial we are going to show you the procedure for changing file properties, Document properties, or metadata as they are more commonly known. These properties are actually small details about a file like title, author name, subject, and keywords etc through which the document is identified. First of all open the document. 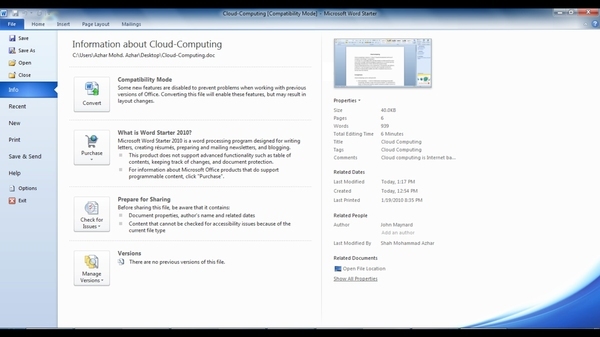 In this tutorial we would be using the Microsoft Word file. Then click on the ‘File’ icon on the top left panel. 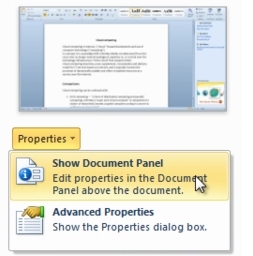 Now go to properties and choose the ‘Show document panel’ option. You will see a panel containing all the information about the document. Change the details as per your requirement. Once you are done with the changes go back to the document information panel and you would see that the changes have been made there as well automatically. Save the changes you have made by clicking on the save button.